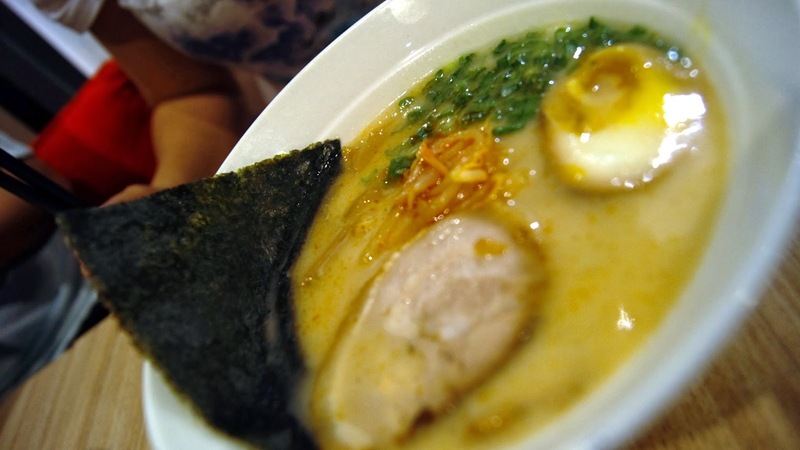 Goku Raku Ramen has a modern & sleek interior, with a touch of Japanese, here & there. 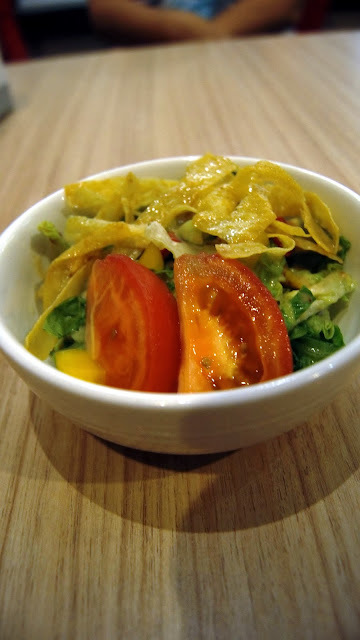 Lettuce, tomatoes & capsicums topped with some chips & drizzled with Japanese Salad Dressing. No salad can go wrong with Japanese Salad Dressings :) However, the chips felt a little...soft, rather than crunchy. Char Siew, cooked to perfection, on a bed of onions. The char siew was perfect. 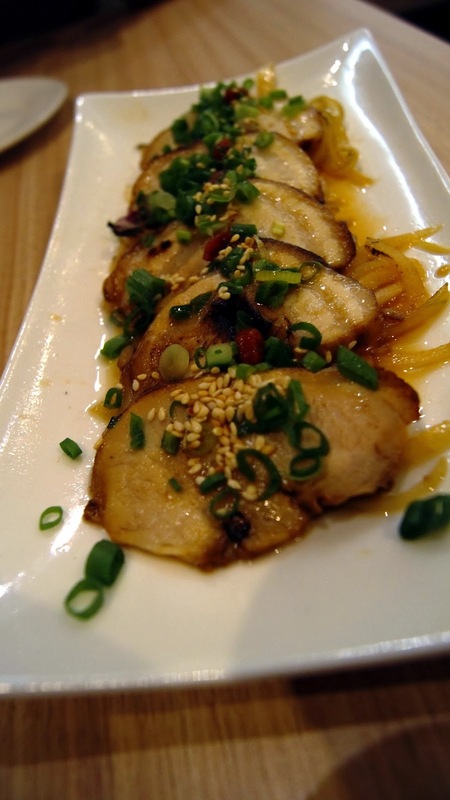 Right proportion of fats to lean meat, aromatic & rich pork-y flavours infused with onions. 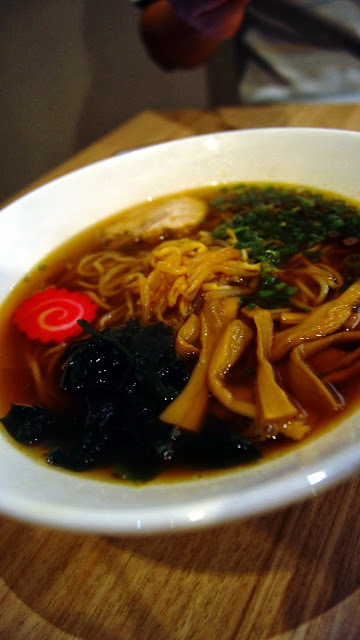 Ramen in Tonkotsu broth, topped with an Ajitama, Char Siew, Spring Onions, Seaweed & Bamboo Shoot. The Tonkotsu broth was delightfully rich in flavours. I could finish the whole bowl of soup on my own! Noodles were springy. 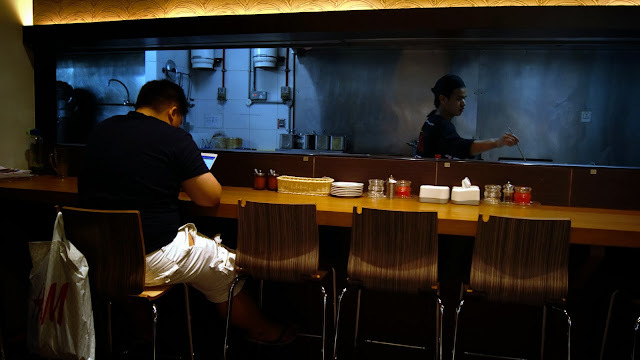 But I think I'd prefer Musashi Ramen's version as the noodles at Musashi are more springy & bouncy, and the broth at Musashi is richer in flavours too. 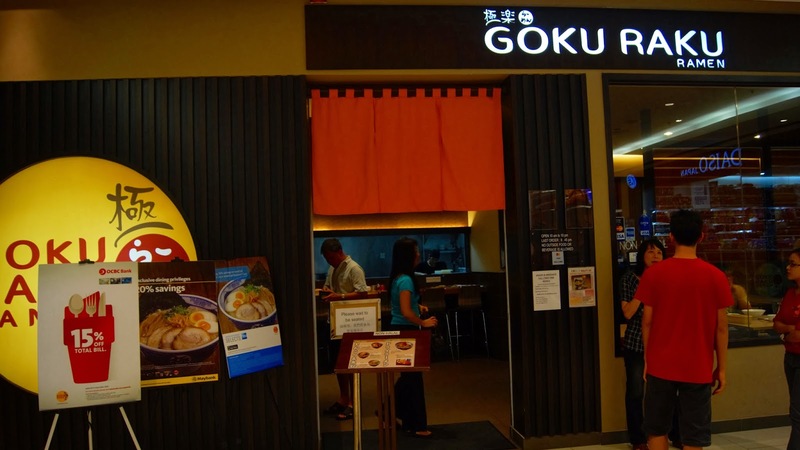 But I think Goku Rake wins Musashi on their toppings- Goku Raku uses bamboo shoot instead of black fungus which Musashi uses. Goku Raku's Char Siew is definitely better than Musashi's, it felt more smooth & tender.